Comfort is very much an individual choice. AAA Headsets offers a 4 day free evaluation so you can try different headsets and decide for yourself which is the most comfortable. AAA Headsets offers a 2 year warranty on most commercial grade headsets and 12 months warranty on other headsets. This warranty covers defects in materials and workmanship. It does not cover consumable items such as ear cushions, voice tubes, batteries and windscreens. You have 15 calendar days to return an item from the date you received it. To be eligible for a return, your item must be unused and in the same condition that you received it. Your item must be in the original packaging with all the accessories and/or manuals. Your item needs to have the receipt or proof of purchase enclosed with the item. You will also be responsible for paying for your own shipping costs for returning your item. Please choose carefully as refunds are not normally provided where you have simply changed your mind, made a wrong selection or simply found the goods cheaper elsewhere. We recommend you carefully preview the Contents of Your Shopping Basket before proceeding through to the Secure Checkout and finalising your order. If you require assistance with deciding or are unsure of what you require, please Contact us or telephone 1800 060 976. You will be responsible for paying for your own shipping costs for returning your item. Shipping costs are non-refundable. If you receive a refund, the of return shipping will be deducted from your refund. If you have any questions on how to return your item to us, please do not hesitate to contact us on 1800 060 976. Can I move around with my headset still on my head? Cordless headsets allow you the freedom to move up to 100 metres from your telephone. Most quality corded headsets allow you to move away from your desk by unplugging the top. Halfway down the headset cord is a quick disconnect which allows you to release quickly from the telephone and when you return you just connect yourself together. Where can I get consumable replacements? AAA Headsets carries a range of ear cushions, windscreens and voice tubes that are replaceable. See our Headset Accessories pages for purchasing online. How often do I replace the Batteries? Most amplifiers have 2 AA batteries which need replacing about every 12 months with normal use. The amplifier will warn you of low battery either by beeping or on some models it has a light. Check your User Guide for the manufacturer's recommendations. Cordless headsets have a battery that is expected to last for about 2 years. When replacing the battery please refer to the manufacturer's handbook. How long do Headsets last? Headsets will last for years as long as they have normal wear and tear. Normal wear & tear is not to be slammed into a drawer or dropped on the floor. Who do I get to repair my Headset if it breaks down? 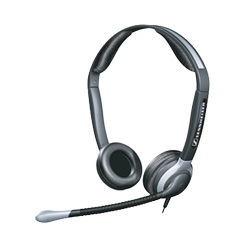 AAA Headsets will accommodate all repairs whether under Warranty or for general repairs.